Neocon war hawk Paul Wolfowitz is now "optimistic" about President Trump and privately emailing HR McMaster and James Mattis to whore for more wars in the Middle East. To liberals and other critics, Wolfowitz would be the last person they want Trump to listen to. 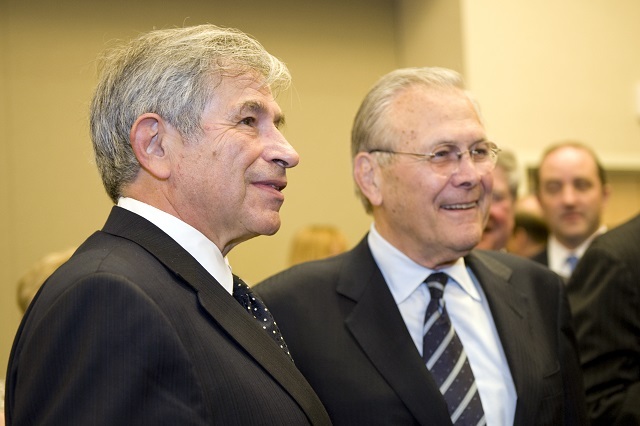 Long a lightning rod because of the havoc unleashed by the Iraq invasion, Wolfowitz has never apologized for advocating the war, although he has said—and repeated in our conversation—that it was not carried out as he would have wanted it to be. In recent days he‘s jumped right back into the public debate, nudging President Trump from the pages of the Wall Street Journal to follow up his bombing strike in neighboring Syria with more aggressive action—and, he tells me, privately emailing with Trump Defense Secretary Jim Mattis and national security advisor H.R. McMaster, both longtime contacts since his Bush days, in hopes they will pursue a U.S. strategy of stepped-up engagement in the Middle East. 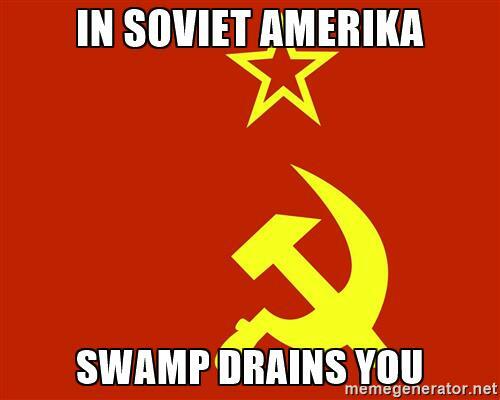 Indeed, your neocon wars worked out so well. ...But he’s now wondering whether the Trump presidency may offer more than he initially thought possible as Trump talks tough on North Korea, proclaims willingness to take further military action in the Middle East and seems to have marginalized anti-free trade, neo-isolationist advisers in favor of his more conventionally Republican national security team, led by CEO-turned-Secretary of State Rex Tillerson and Generals McMaster and Mattis, whose worldviews are very much shaped by their own participation in the Iraq war. There could be no worse sign than Lindsey Graham and Paul Wolfowitz getting on the Trump train. As I said before, there's been a deep state/neocon coup and it's getting clearer by the day Trump is no longer running the show. He wouldn't even play hardball with the Democrats to get a measly $1.4 billion to start building the wall. Even though we won the election and Trump had a huge mandate, we're getting basically nothing and the unelected bureaucracy is ensuring the status quo remains the same.